And by da way, dat Regeneril yous sent us, OMC It be helpin' sis Lexi sumfin' cwazy. She's ate 165 ounces of food a kupple days in a row. She ain't ever ate dat much food afur. But she needs it so she get hers weight back. Fank you again. MOL! That was good. Happy Limmerick Day! 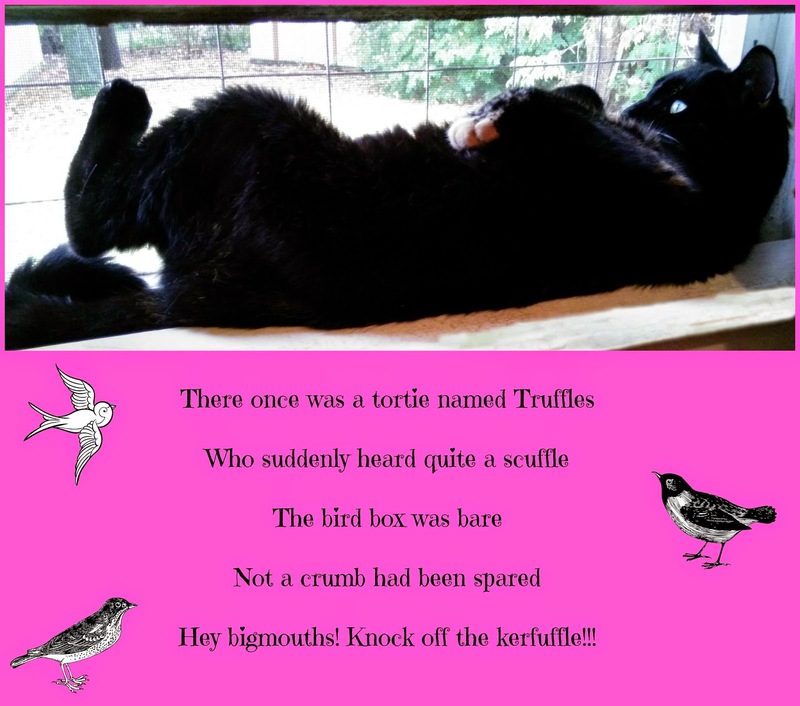 Great job Truffles and I love the photo too. I have never written one. Great limerick Truffles! Birds can make a lot of racket when you are trying to sleep. I have written many limericks before - even posted a few. They are lots of fun! Truffles I think you found your new calling! Great job!!! And we love your photo today. Oh that is good!! I love the pose Truffles!! I have written a few limericks. I love the rhythm!! MOL! Pawesome limerick, Truffle! And an adorable photo, too. You bet but I’m too tired to think of one now.